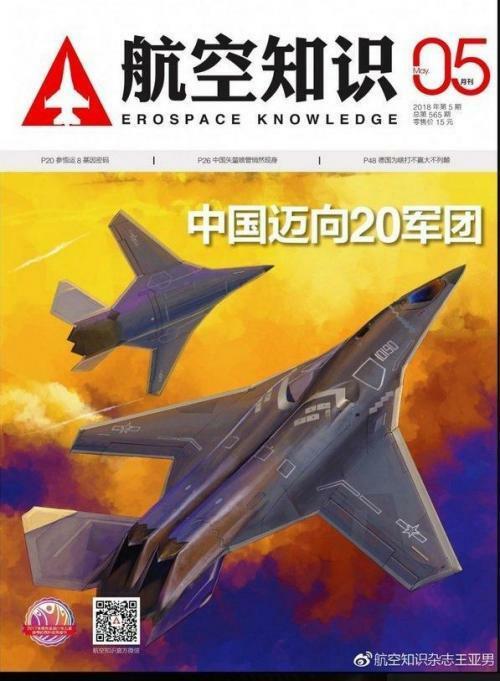 Last week, the Global Times confirmed that the Hong-20, China's newest long-range stealth bomber was ready for imminent trial flights. 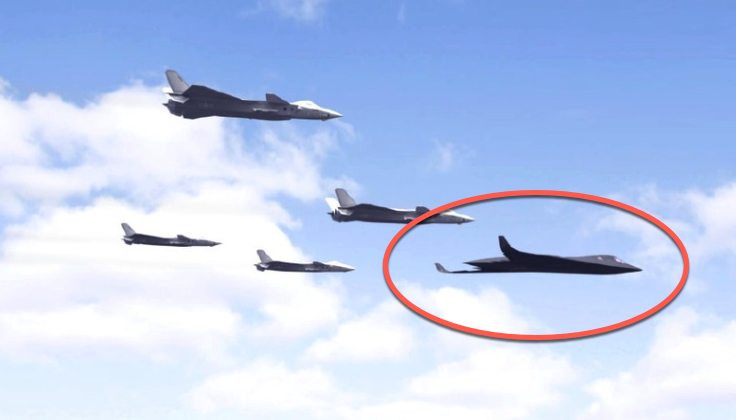 According to fresh reports, China will show the world its new stealth bomber at an air force military parade to mark the 70th anniversary of the founding of the People's Liberation Army Air Force (PLAAF) in the second half of 2019. The program was confirmed in 2016 when official PLA-affiliated sources announced the developed of the bomber. PLA Air Force General Ma Xiaotian, stated, "our long-range strike capability has much improved compared to the past, and an even bigger improvement is coming. We are developing a new generation of long-range bomber." Last week, Song Zhongping, a military expert and TV commentator, told the Global Times that trial flights of China's stealth bomber would be immient. He said disclosing the new plane is a potential deterrence to our enemies. "Usually the development of equipment and weaponry of the People's Liberation Army is highly confidential," he said, but with the threat of a full-blown trade war in 2019, and a potential flare-up of military conflict in the South China Sea; Beijing is trying to flex its military muscles for the fight ahead. 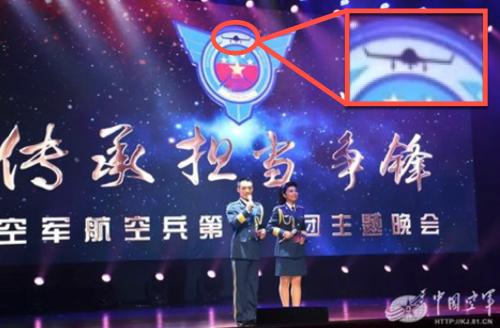 In addition to this, the outline of an unknown stealth aircraft was spotted earlier this month on a large banner at a celebration for China's strategic bomber division; military observers speculate it could be the new bomber. The party was held on Oct. 07 at an unspecified strategic bomber division facility under the PLA Eastern Theater Command. 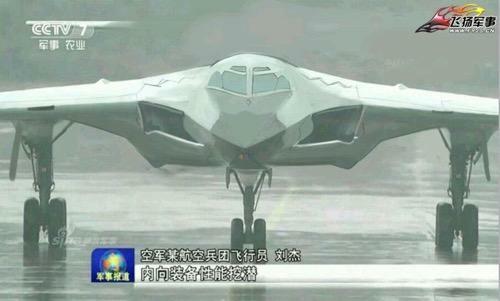 The frontal view of the aircraft was shown at the party but did not match China's known stealth bomber because of its angled winglets on the ends of its wings; also there was no visible tail. This is not the first time an aircraft rumored to be the mysterious stealth bomber has made a public appearance. In May, we reported that Aviation Industry Corporation of China, one of China's most significant aerospace and defense companies (ranked 159th in the Fortune Global 500 lists), released a five-minute video commemorating the 60th anniversary of its subsidiary the Xi-an Aircraft Industrial Corporation. 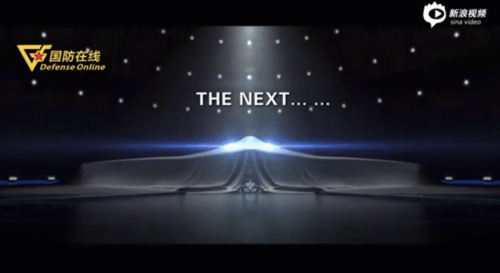 In the last 10-seconds of the footage, a sneak peek into one of the most secretive aerospace projects to date -- the development of the next-generation stealth bomber. Looks like US war planners will have to factor in China's next-generation stealth bomber into the fight, as the threat of trade war could send both countries into a potential hot conflict.